I think we'll all get a laugh out of this story! Pass it on to all of the other mommy's you know! 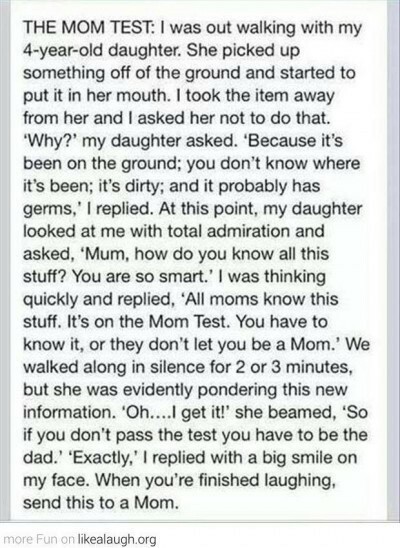 What is the Mom Test you say? This super cute conversation between a mom and her 4 year kid will explain it all!